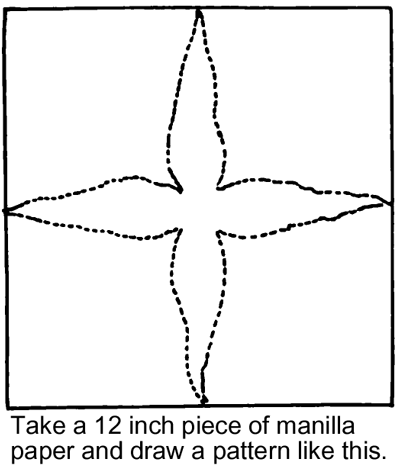 Take a 12 inch piece of manilla paper and draw a pattern like this. 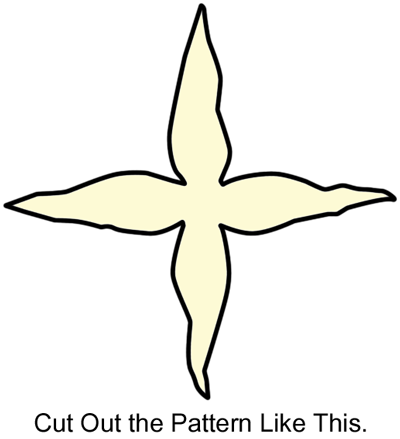 Cut out the pattern like this. From a piece of about 5 inches square make a roll similar to a cone. Before rolling color paper yellow. Make sure to not get it too pointed. Paste. You can fill corn with treats or candy. 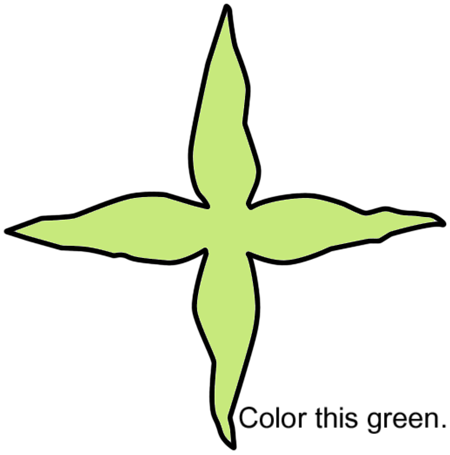 Fold green part around cone and tie with a string. Lightly draw little ovals for corn kernels. And there you have it. 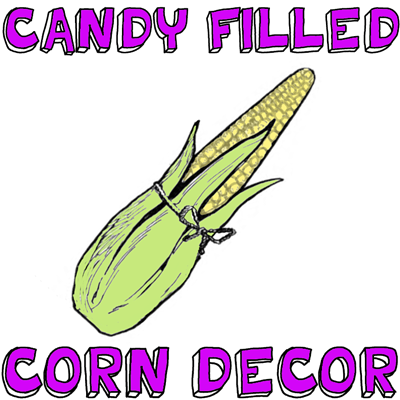 You have just made a decorative corn filled with treats. These are a great idea if you are having a Thanksgiving dinner with children. They will love these.